Earlier this year, SETsquared signed a collaboration agreement with leading Italian bank, Intesa Sanpaolo, to support the banking group by introducing it to new high-tech companies and nurturing its internal culture of innovation. 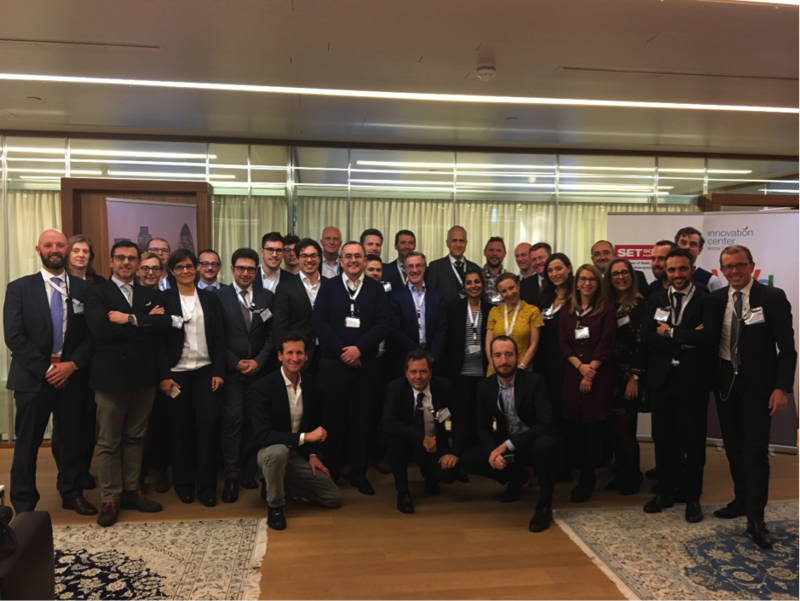 At the end of November, SETsquared companies took part in the first international automotive match-making event sponsored by and hosted by Intesa Sanpaolo at their London Queen Street’s office, home to their new Innovation Centre. During the morning sessions, speakers from the Bank’s corporate, industrial and investment banking divisions and the Innovation Centre described trends in the automotive industry worldwide and what financial instruments are available to support the sector. Simon Bond, Innovation Director SETSquared Partnership, explained how SETsquared and universities can boost innovation in the automotive landscape. At the event, 10 SETsquared start-ups also presented their innovative automotive products and technologies to then follow up with deeper one-to-one sessions with a selection of multimillion turnover supply chain companies to the automotive sector. Intesa Sanpaolo and their corporate clients were particularly interested in SETsquared ventures AccurIC, Custodian Solution, Dynamon, iGeolise, iNova Design, Redlux, save-a-space (Accelogress) and Smart Antenna Technologies and discussions are ongoing. The event represented a fantastic example of Open Innovation where Intesa Sanpaolo and their supply chain clients had access to new technologies, solutions and innovations brokered by SETsquared who introduced member companies and researchers from partner universities.